Time to explore the flora and fauna of the New World! 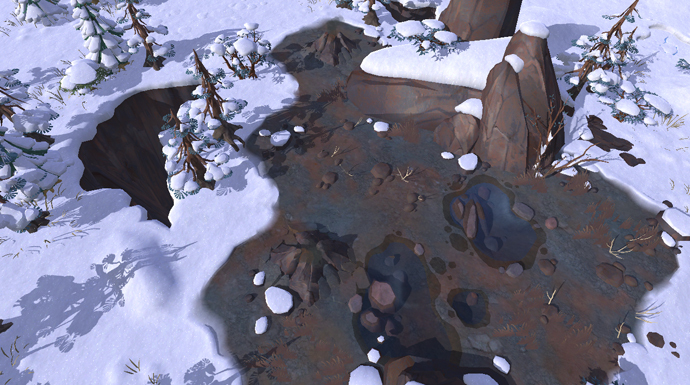 Today we are taking a closer look at the resources and dangers of the mountains. 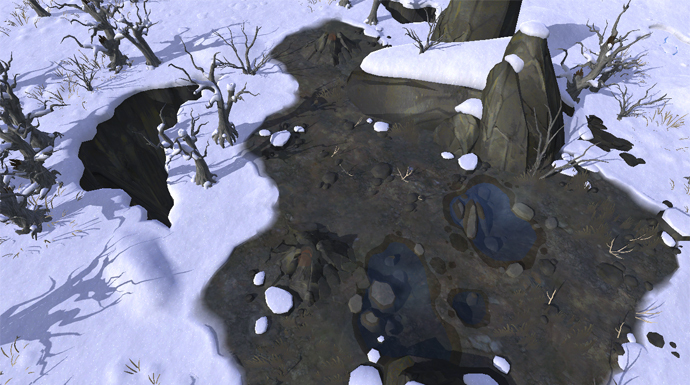 One biome at a time, we are taking a closer look at the flora and fauna that can be found in the New World. What can you expect the biome to look like? What resources can you find? Which dangers lurk around the corner? 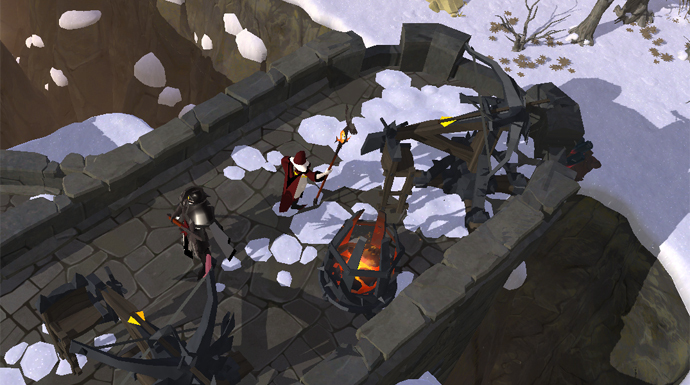 Today, we’re showing you what you can expect to find in your adventures through the snowy mountains! 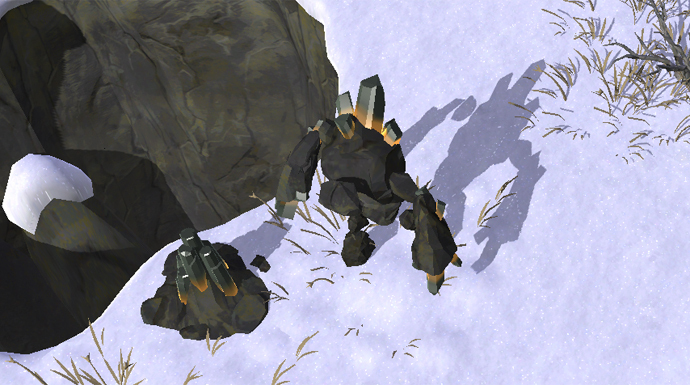 As with every biome, you will meet Heretics when you first enter the mountains as an inexperienced adventurer. However, as you venture deeper through the ravines, plateaus and canyons, you will also come across the Morgana Disciples’ strongholds. Ranging from strategically-structured wooden camps to enormous stone castles, these fortresses protect the dangerous Morgana dungeons. Three different resources can be found in the mountains: Ore, Rock and Fiber. The main resource to be found in the mountains is Ore, which is predominantly available. Any self-respecting miner will certainly set up camp in the mountains! The second most common resource is Rock. While not as profoundly present as Ore, quarrers will certainly find what they are looking for. Fiber can also be found in the mountains, albeit rarely, alongside the hot springs. Harvesters may consider moving towards the swamps instead, where fiber is abundant. The mountains are too cold and barren for animals to survive, with the exception of the occasional rabbit hopping around the snow. 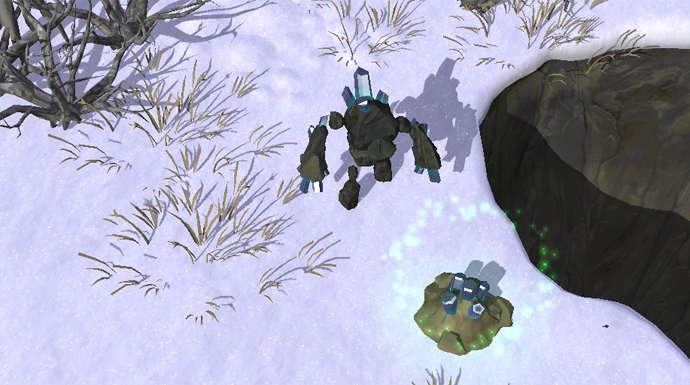 But there are Ore Elementals roaming the land, mythical creatures that are deeply connected with the mountains. 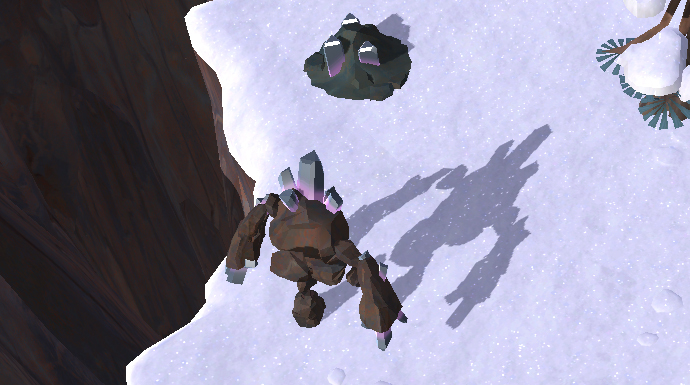 Killing Ore Elementals will transform them into an Ore node corresponding to their tier, which you can mine if you have the correct Pickaxe unlocked and on you. 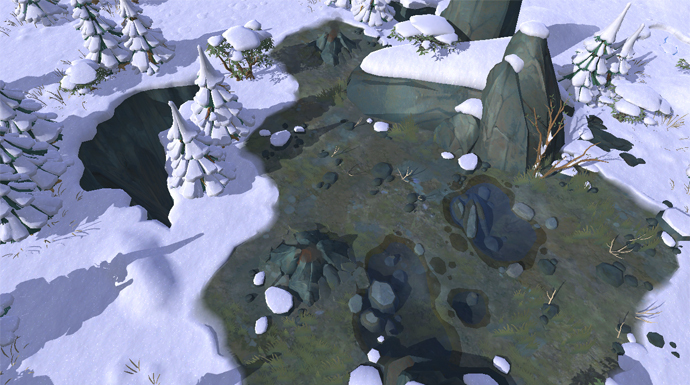 Will you explore the icy mountains? Let us know in the comments below!